Happiness Is An Inside Job. Many, many moons ago I purchased a book with that title and never did get around to reading it. I am sure it would have given me much insight into the Art of Being Happy, allowing me to claim expert status on the attainment of happiness. Recently, I was caught in a situation whereby I needed some extra insight into answering this question when someone said to me “How can I be happy?” and continued to lay bare all the reasons why it was impossible to be happy! As it stands, my choosing to be happy rather than gloomy and miserable at the many challenges life throws my way is not the best criteria for being an authority on the subject of Happiness. You see, I have not written a book, and even having designed, developed and presented countless Life Skills and Law of Attraction workshops over the past 20 years that did not seem to count. The dear individual, who popped the question, asked for a referral to a “Happy Therapist.” With experience! Having never thought of myself as a “Happy Therapist,” even on my most blissful of days, I have to admit I was stumped! My advice for everyone reading this is when stumped; BREATHE. It is a great pause-filler and it allows the light bulbs of the mind to send you flashes of inspiration before speaking. Aha! So that’s it! Before me was someone suffering from what I term the POM Syndrome, better known as the ‘Poor Old Me.’ No matter what glorious events occur in a POM life on a day-to-day basis, it does not spell HAPPINESS! To a POM person, everyone is out to get them, nothing ever turns out right, nobody understand them etc. etc. POSITIVE STATE OF MIND. Abraham Lincoln said, ‘Most people are about as happy as they make up their mind to be.” One person sees a rainfall and rejoices that their garden will flourish. Another sees the same rainfall as a nuisance. APPRECIATE TODAY! Many people live life as if someday they’ll arrive at “happiness” like one arrives at a train station. Happiness is a decision to not ‘sweat the small stuff’ and trust that nothing is too big to overcome. BE GRATEFUL! Cherish each day as a gift. Gratitude ensures that ATTENTION focused on what we already have, sets forth the INTENTION to increase the flow of good into our lives. 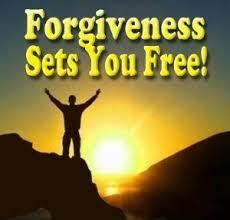 FORGIVE: Holding on to what someone did to hurt you is like drinking poison hoping the other person will die! Give yourself the gift of forgiving. You will feel light and happy! POWER SPEAK! Stop the negative self talk. Empower yourself. Change your speech habits from negative to positive and see how your world changes. Positive talk attracts positive experiences and people to you. LOVE YOURSELF. Think of a commitment you could make to yourself that is an expression of self-love. On awaking each day promise to do something that will nurture your soul and make you happy to be alive. SMILE! It costs nothing and it relaxes all the muscles of your face. By smiling you become a Day Maker for someone and you attract positive people and friendly responses. PERFORM RANDOM ACTS OF KINDNESS Pay for someone’s coffee at the drive thru or buy a flower and surprise someone. BE SILLY! Think of 5 silly or fun things you would love to try, and do it! Life is Short, Put on your Party Pants and invite happiness into your life!